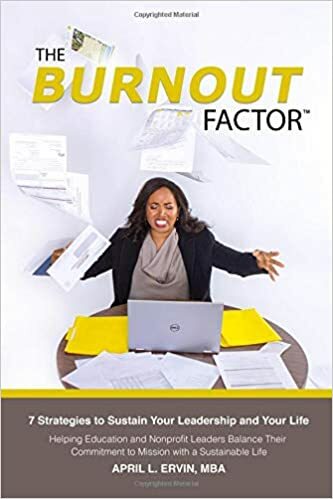 Scroll Down to Register for The Burnout Factor Online Book Club! A few folks have suggested I start a book club to read through the book together. Since many of you are across the country, I am excited to share that I am launching my first Online Book Club beginning Monday, March 4th. During our time together, we will read a chapter a week and walk through how we can implement each recommendation into our daily lives. This is all about ACCOUNTABILITY. I know how hard it is to manage all that comes with our lives – professionally and personally. We will spend 7 weeks putting some real, concrete strategies in place to move from chaos to calm, exhaustion to rejuvenation and from burnout to professional and personal sustainability. A HUGE part of my eliminating burnout was learning to take the best care of ME and my body. We all fight our own battles, my greatest battle was with my weight and relationship with food. I ate when I was happy, sad, stressed, hurt, angry, bored…you name it. My own personal transformation still shocks me. But…..God. I continue to be so very grateful for His healing and deliverance. Even if weight is not your challenge, achieving greater balance in your life is VITAL to living the best life that YOU ABSOLUTLEY DESERVE. LET’S WORK TOGETHER TO MAKE 2019 THE YEAR OF NO MORE BURNOUT! Ready to sign up and make eliminating burnout a priority in your life NOW? Just click one of the links below to register for the Book Club. There will be a maximum in the group, so be sure to register ASAP! I’m truly excited about this. As I always say, we teach what we need to learn and learn what we need to teach – so I know our time together will be a blessing for me as well. Looking forward to supporting you! Are you ready to receive the peace and healing you deserve? Are you ready to end "The Burnout Factor" in your life? If so, let's connect. Through God's grace I am blessed to live a level of peace, healing and balance I could have never imagined. It's time for you to do the same!